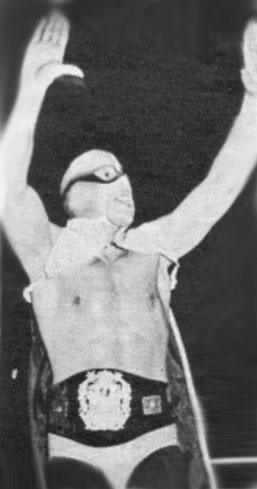 1971: El Solitario defeated Ray Mendoza to win the NWA World’s Light Heavyweight title..
1972: El Solitario brought the World’s Light Heavyweight title back to America for the first time in years.. 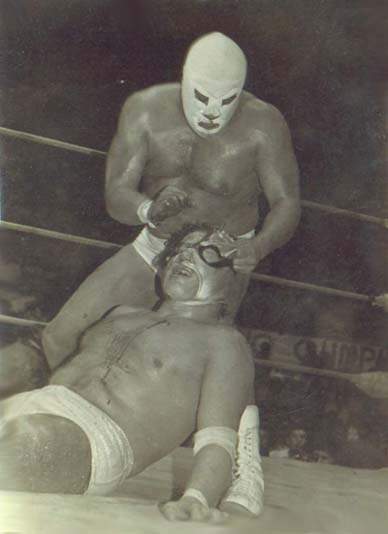 In his first match in Los Angeles, El Solitario nearly started a riot kicking Mil Mascaras in the groin.. Under the name “Golden Mask,” El Solitario teamed quite successfully with Mil Mascaras in Japan..
April 6, 1986: El Solitario died of a heart attack while being one of the biggest stars in Mexico..
El Solitario is a Hall of Famer and considered one of the 5 or 6 biggest stars in the history of Mexican Pro Wrestling..